One Month of Marketing Get 1 free month of ad management on one ad platform (ie: Facebook). Ad costs paid by customer. What's the difference between website builder and web design plans? 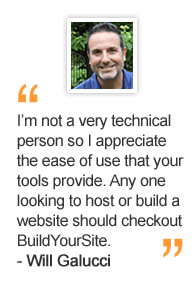 Customers who opt to use the website builder plans are in charge of building the website using our K2 Website Builder. If you opt for web design plans, we're in charge of EVERYTHING. We create your logo, custom graphics, add your content, format it, etc. We also optimize your site for search engines and more. After 3 months your hosting service is only $11.95/month for standard hosting or $44.95/month if you have an ecommerce website. We do have other hosting plans that include various other benefits, which you can optionally upgrade to. Who owns the content, you or me? You. As the business owner, you own your content outright. We do provide hosting services and our sites are optimized for our platform, but if you wanted to move your site for any reason, you are not locked. Our hosting fees and ongoing support are unmatched, so 99% of our design customers continue to host with us for years and years. Of course. We are not web designers that design a site and move on to the next client. We provide ongoing support and assistance. We're here 24/7 to assist you with your account on anything website related. No. 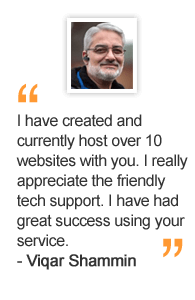 Our service includes enterprise quality hosting. In fact with our web design packages, we include 3 months of hosting and after that we bill a reasonable fee for maintenance, hosting, email services, domain renewal and more. Powered By BuildYourSite.com | Copyright © 2019 by BuildYourSite, Inc. All Rights Reserved. Check if you already own this domain.